Well its always a sticky subject, but it has to be done! The Copyright of all the patterns on this blog belong to Raynor Gellatly. Even if these are not your own personal views on copyright they are mine so please respect them. Even though my patterns are simple a lot of work has still gone into creating them. Ok i'll get off my soap box now, i hope that cleared a few things up for people, happy knitting. wow. 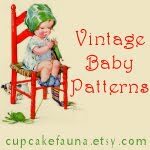 I stumbled upon your patterns and they are absolutely adorable. 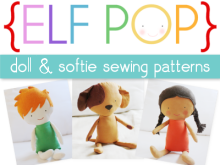 Are you SURE it's ok to sell toys made from your patterns?? May I credit you as the designer? Thankss for the praise woolies. It's totally fine to sell anything made from my patterns just as long as it's not the pattern itself. I'd love knowing that people like to sell handmade things, it's so much more special than shop bought toys. Wow, you are a generous and talented crafter. Thank you so much, I am very glad I found your blog and am excited to make some cute things for my girls. Keep up your great work! Lovely patterns!! I hope you don't mind I've used your 'Copyright' blog on my blog (credited it to you of course!!). I quite agree with you about this issue! If you fancy a look I have a Harry and Hermione on my blog! Thank you so much Raynor, I have made your tiny turtle and it is my hubbies favorite. 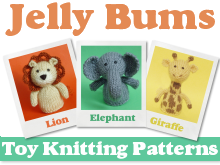 I would also like to thank you for allowing knitters to sell the cute little toys made from your awesome patterns...You are the best! I love this pattern and plan on using it to make little toys to sell at pet events where all the money goes to a dog rescue. If there are any questions I will send them to your link. Thanks for making this possible, the puppies are very greatful.